New Delhi, April 9: The Board of Control for Cricket in India (BCCI) officials are set to meet the Tamil Nadu Cricket Association (TNCA) officials to discuss on whether the three stands -- I, J and K -- at the M.A. Chidambaram Stadium can be opened for the final. If not, the final match will have to be shifted as per the board. TNCA officials believe that it is for the state government to join hands with the association and ensure that Chennai fans don't miss out on watching the final in their city. The Chennai Corporation had closed these three stands as there were issues with regards to permission when the stadium was refurbished before the 2011 World Cup. 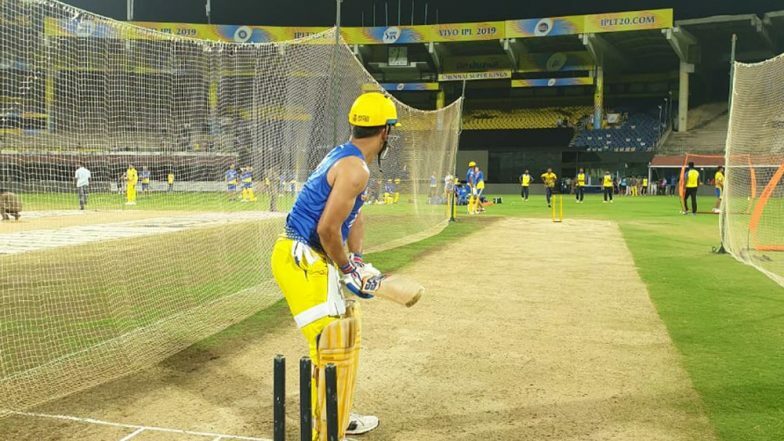 With Chennai Super Kings being the defending champions, Chepauk was set to hold the opening match of the season, two playoff games and the final. But a section in the board feels that it is a visual disaster if three stands are empty during the final. CSK vs KKR Head-to-Head Record: Ahead of IPL 2019 Clash, Here Are Match Results of Last 5 Chennai Super Kings vs Kolkata Knight Riders Encounters!